This entry was posted in Interesting on April 28, 2009 by Mark. I came across a How to make Totoro cream-puffs article and got inspired to make eclairs again. I used Alton Brown’s Lemon Curd recipe as a start. However, as a South Floridian who grew up on Key Lime pie, I used Key Limes instead of Lemons. Put 5 Egg yolks, with Chalaza removed, into a bowl. and 1 Tablespoon Key Lime zest, finely chopped. Whisk over a double broiler for 8 minutes. Remove from heat, whisk in 1 stick of butter, 1 Tablespoon at a time until melted. Cover with Saran Wrap and refrigerate. The puff pastries came out a little bit deflated. I wonder if it was because I cooked them on silicone mats? Or perhaps the batter was a little too runny? The final product sure tasted good though! This entry was posted in Cooking on April 26, 2009 by Mark. I went to OSPW for some disc golf today. 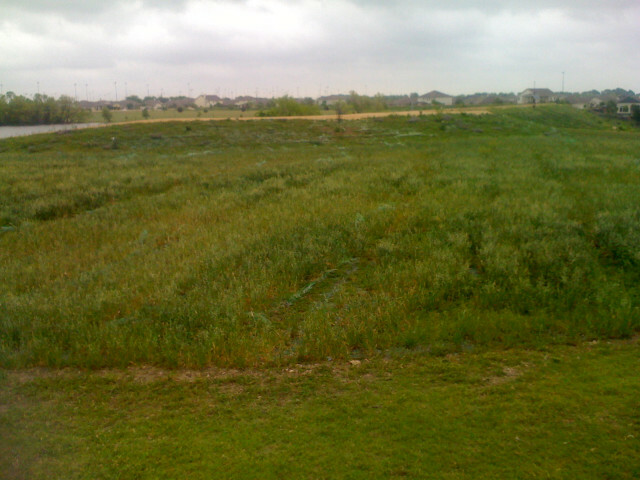 The field which had been torn up during the dam construction is green again. But the grass is much different than the usual Buffalo grass around here. I wonder how it will hold up to Austin’s summers. For lunch, I drove down to Flip Happy Crepes for lunch. Mmmm, most excellent. 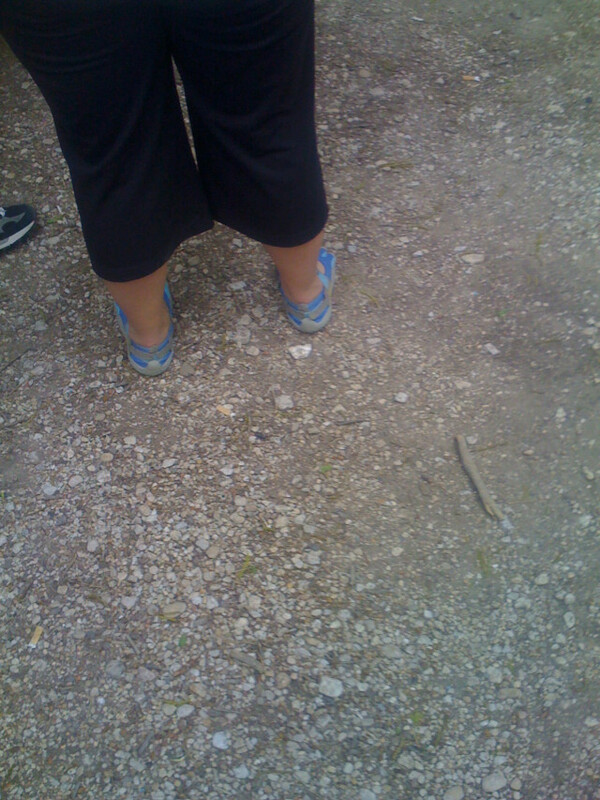 Later, when I was going back through my pictures, I noticed that I accidentally took a photo of someone’s feet. And they were wearing Vibram’s Five Finger shoes! What a coincidence! After lunch, I drove down to the charity gaming event, Give To Game. 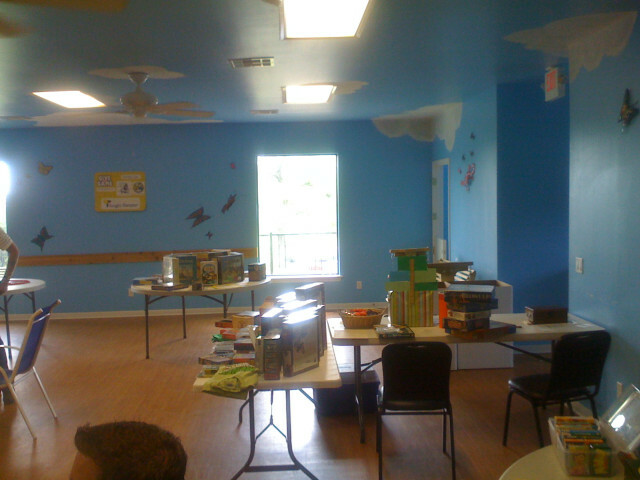 Unfortunately, not many people were there and gaming opportunities were not good there. So I left. 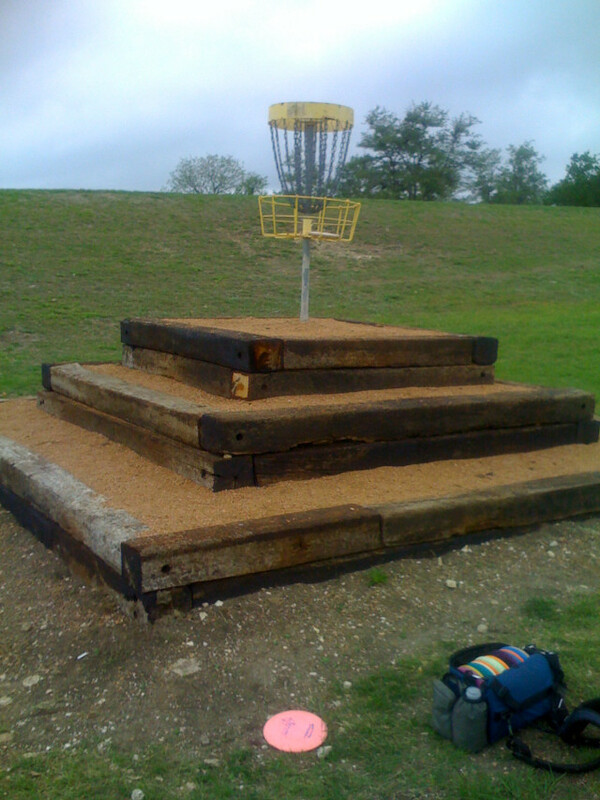 This entry was posted in Disc Golf on April 25, 2009 by Mark. 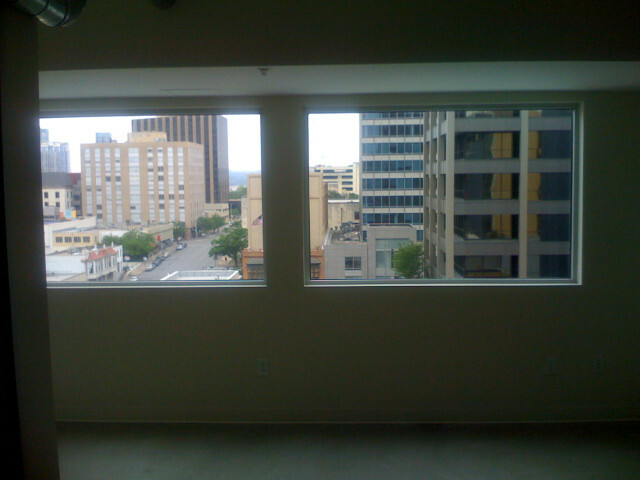 Apparently, in this down economy, 19 condominiums at Eighth and Brazos in downtown Austin are going up for auction. Prices range from 120K to 600K. Man the cheaper places are tiny! 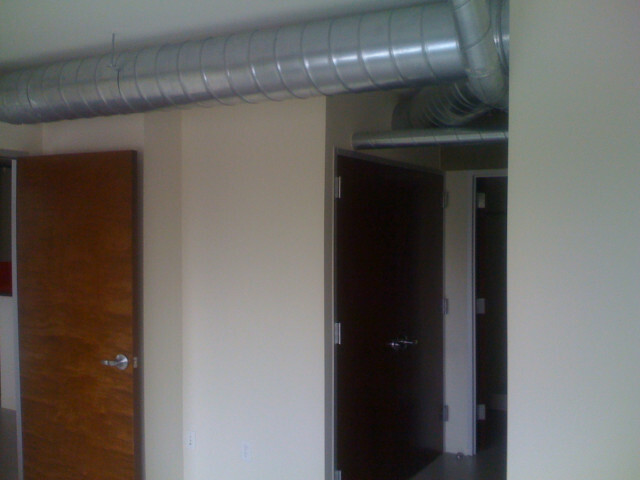 The floors are finished concrete and all of the air ducts are exposed. This entry was posted in Interesting on April 24, 2009 by Mark. This entry was posted in Gaming on April 23, 2009 by Mark. 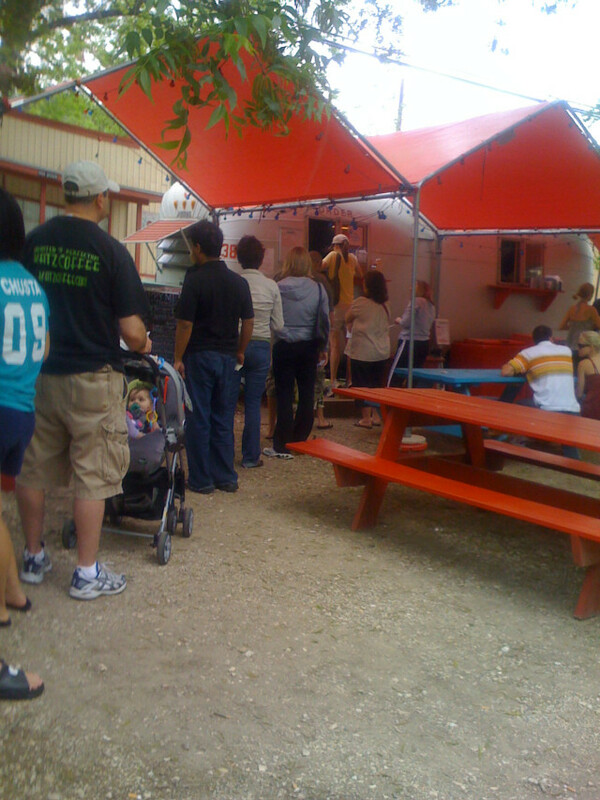 I walked to Taco Deli for lunch today. 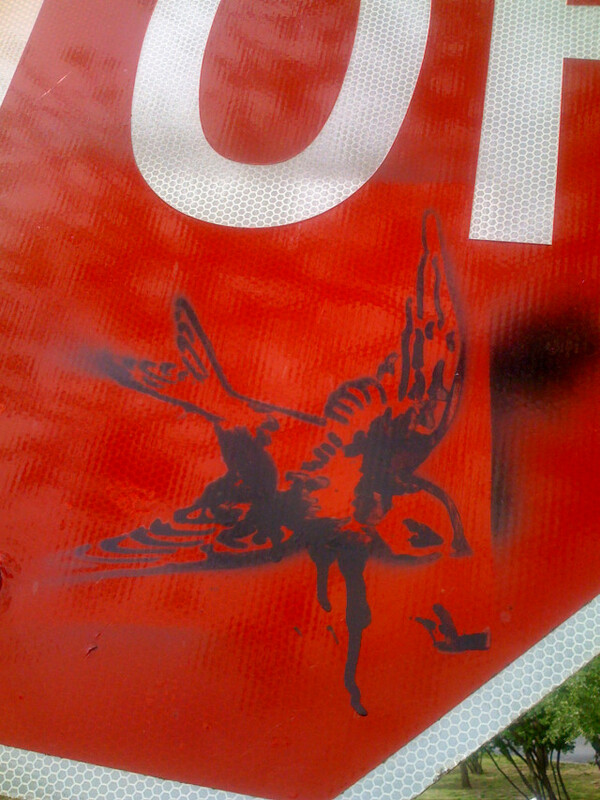 And on the way back I noticed this stenciled graffiti on the stop sign next to work. This entry was posted in Interesting on April 23, 2009 by Mark. I took my car in for repairs. 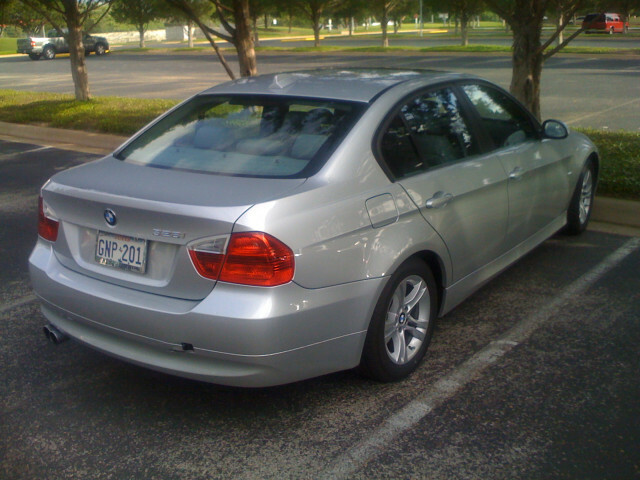 My loaner looks almost exactly like my new car. Except it is underpowered and missing a lot of features that I now rely on (like not having to take the key out of my pocket, Sirius radio, and my Texas toll tag). What is really annoying is that I had to wait a week to get my car back. They replaced the steering column switch cluster and SZL (whatever that was). Part of the process of the repair is to encode all modules. Which erases the Dinan software on the chip. They had to send the DME back to Dinan to re-install the software. Sigh. What poorly designed software. And when is BMW of Austin going to get a dedicated computer to do it themselves? This entry was posted in Cooking on April 22, 2009 by Mark. The regulator on the gas grill finally died on me. It was leaking around the thin metal plate at the top of the assembly. So, I tried an experiment. I put a lot of glue on the top and let it dry. However, when I turned on the gas, a pressure release valve blew out. Oh well. It was worth a try. This thing was a real pain to replace. The brass nut would not unscrew no matter how hard I tried. Finally I gave up and got my neighbor to help me. It was pretty embarrassing just how easy it unscrewed when we tried it again. I went to Home Depot to replace it. Unfortunately, they were out of new, single hose regulators. Luckily, an employee took one off of a model on the floor and rang it up for me. Unfortunately, bad luck seemed to come in threes fixing up the grill. The module which displays how much gas is left in the canister was not working. When I opened it up to replace the batteries, I noticed that they were badly corroded. Putting in new batteries didn’t fix it. So I took it apart. 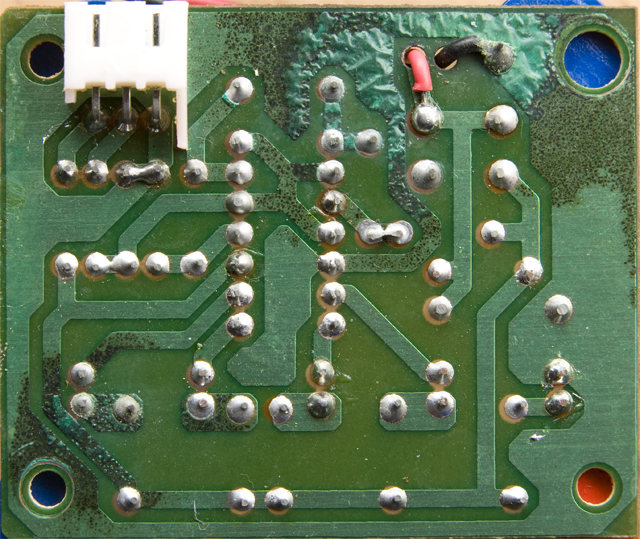 The circuit board was damaged from the corrosion. You can see where the chemical reaction was slowly consuming the circuit path. Ordering a new part was easy. And I replaced it. The next problem was getting the grill to spark to ignite the gas. I kept messing around with the single battery with no luck. Finally I reversed the battery and tried it again. This time everything worked! This entry was posted in Interesting on April 19, 2009 by Mark. 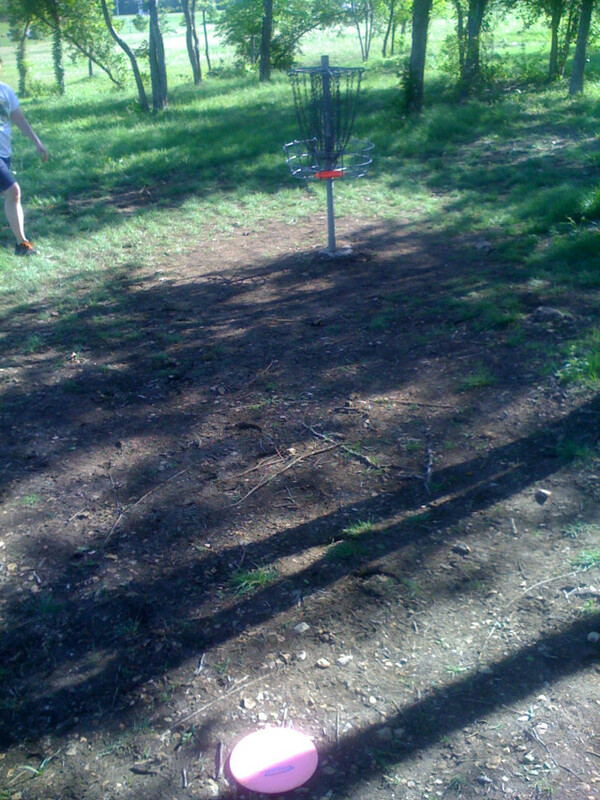 Jon and I went for some disc golf at Old Settler’s park. 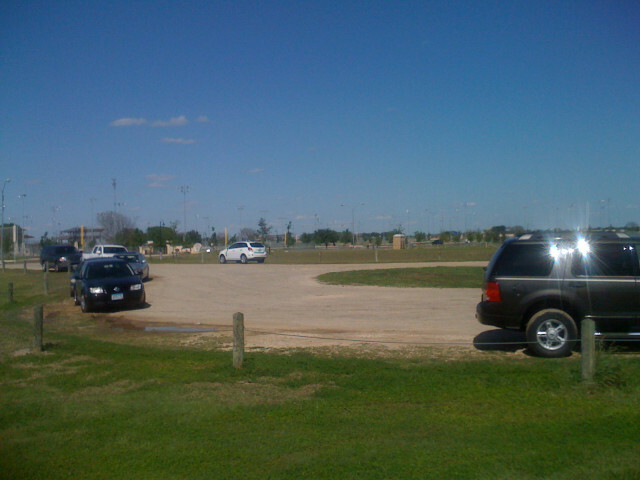 It was beautiful out there and, apparently, everyone had the same idea to go to the park. It was crowded out there. 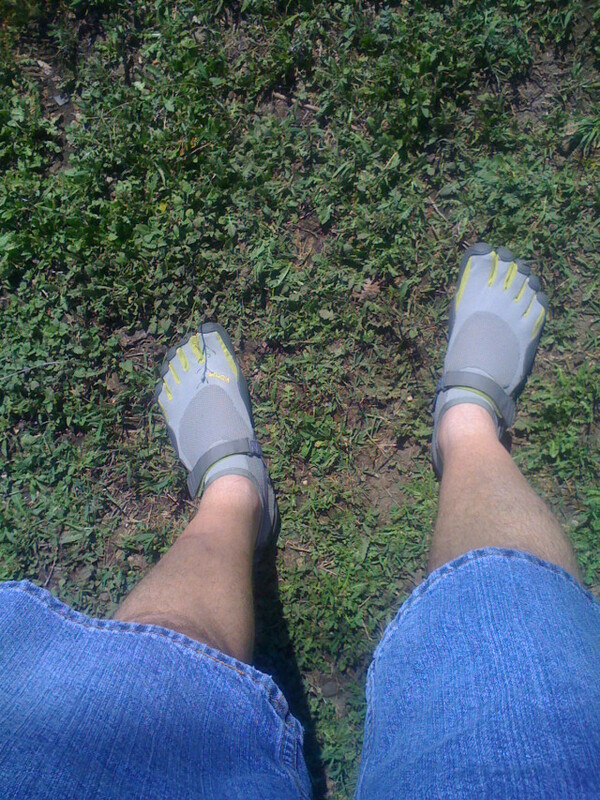 I bought some new shoes to try out: Vibram’s Five Finger KSO. Which is essentially a sock with a thin rubber sole. It feels like you are walking bare foot. How different! It seems that there is a tournament going on in May here. Hole 2 is hard. 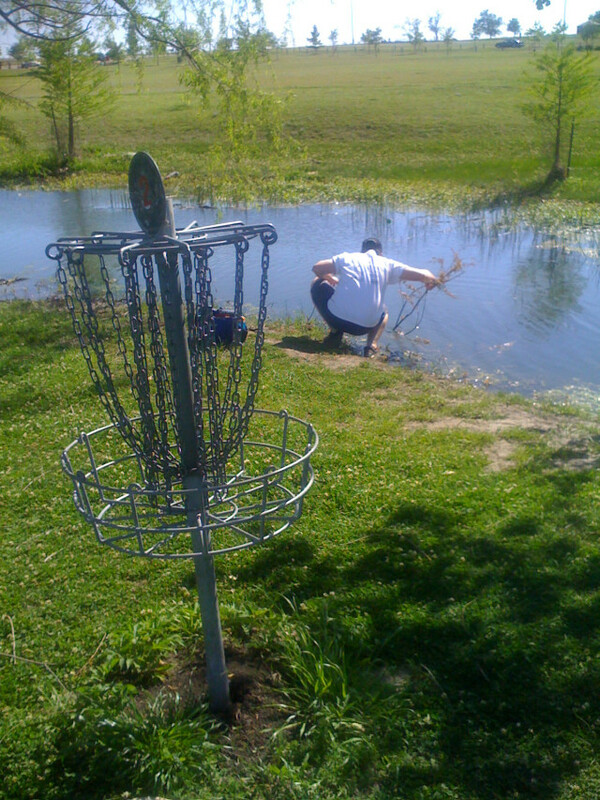 First you have to avoid the creek on the left and a big tree on the right when you throw at the tee. And the basket is right next to the water. Which Jon found. Hole 7 is a hard hole if you follow the tight mandos on either side. So I was happy to get a birdie out of it. 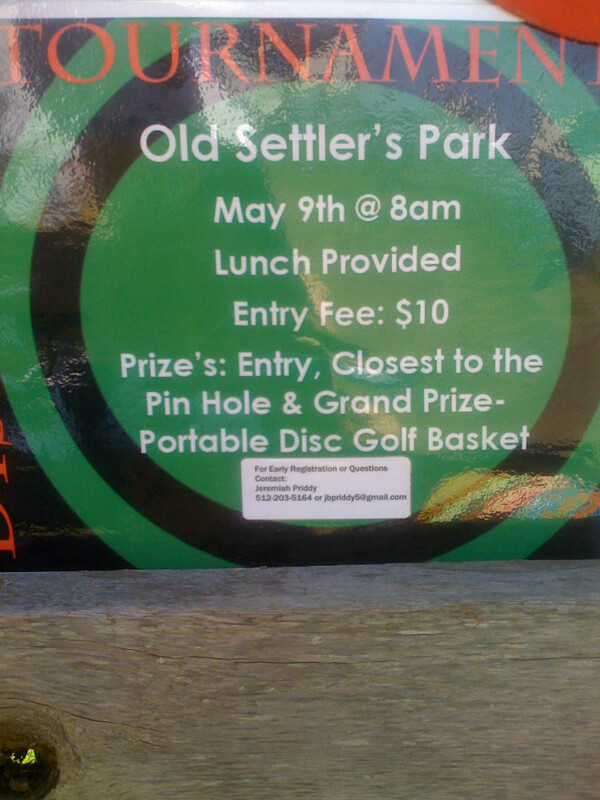 This entry was posted in Disc Golf on April 19, 2009 by Mark.